The perfect sock for every woman that loves to bowl, 85% cotton, 15% stretch nylon. How many pairs of socks come in this pkg? Hi Shar! The $12.99 price is for 1 pair of the Master Ladies "I Love Bowling" Socks. 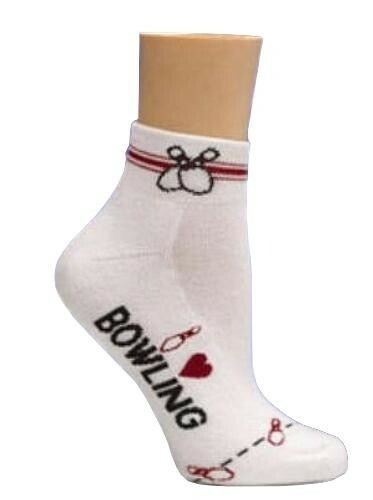 Due to the time it takes to produce the Master Ladies "I Love Bowling" Socks ball it will ship in immediately. We cannot ship this ball outside the United States.